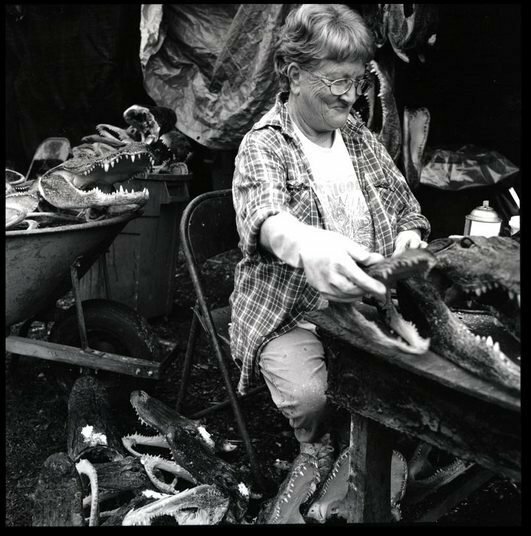 "Don't ask me why people want to buy an alligator head. They're nuts! I wouldn't buy it. I made me a little bitty head once with pink eyes. Every time I passed it, the little eyes would follow me. So it's in my closet now. I say, 'Uh uh. I work enough with you all. I don't need you following me in my house.'"